The owner of this fast-growing company desired a hip, contemporary space to energize and inspire their employees. 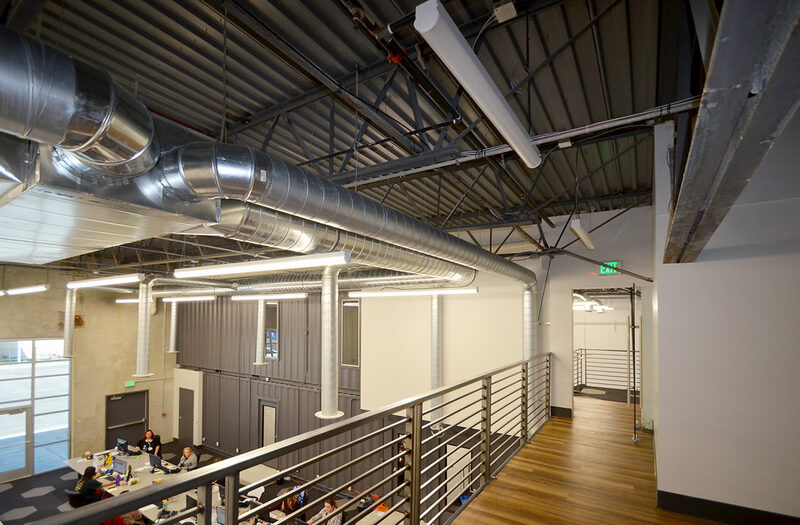 From empty warehouse shell to upbeat urban environment, Hawx’s corporate headquarters now includes offices, a training room, conference areas, large open break areas, and two call centers. Stacked shipping containers were re-purposed for offices. 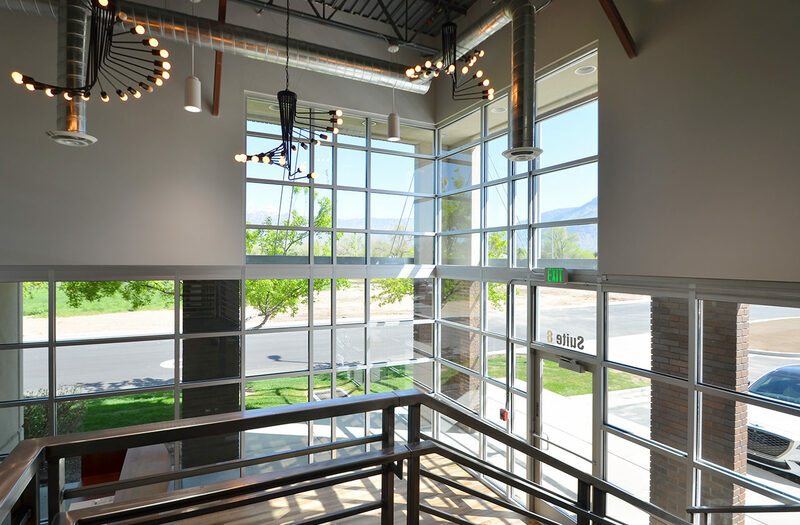 Large, glassed areas were incorporated to create an edgy vibe and open atmosphere. Vibrant colors, a cool fusion of textures, and open spaces all set the tone for this active and vibrant work setting.